I bloody love Chihuahuas. Although, I feel like it’s an unpopular opinion ever since Paris and Nicole toted them around on The Simple Life in the early 2000s. Don’t let that cloud your judgement of the breed though, they’re a lovely dog to have in the family! When I met my boyfriend, Mat, he introduced me to their family dog – Dolly the chihuahua (also named ‘Dobs’ after her uncanny resemblance to Dobby the House Elf). She was long-haired, a bit chubby and I was pre-warned that she barks at everyone. A lot. Understandably, I was a little nervous when I first met her. What if she took a strong dislike to me? She sounded a lot like the dog version of me – temperamental! Thankfully, she didn’t bark once and openly welcomed fussies from me. That’s when she became my second favourite furry friend (after my old lady 20 year old cat, Wispa!) and she does an excited dance and strange little doggy smile whenever I see her. Even though we’ve since moved out of Mat’s parents’ house, we still love to come over for fussies and to take her on big walks to our favourite National Trust parks, Lyme Park. 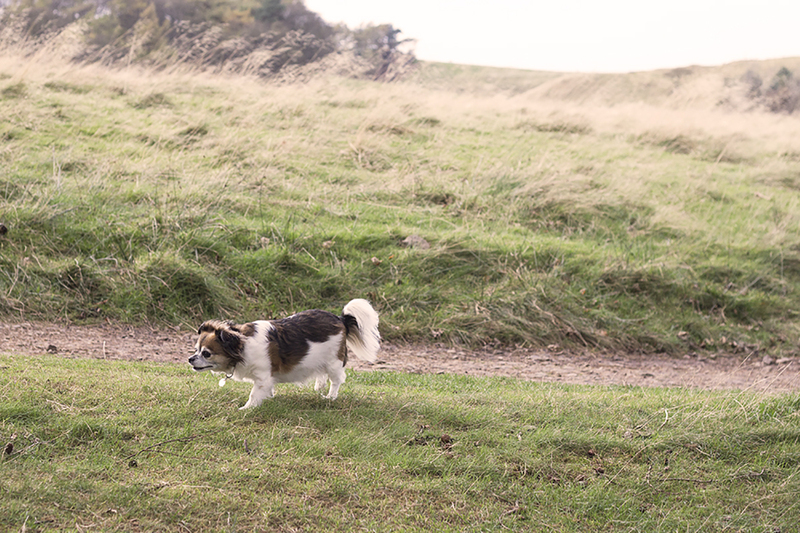 Petplan, one of the UK’s favourite pet insurers, recently challenged us to document a day in the life of our favourite furry family member to share with you the joy that she brings to our lives every single day. 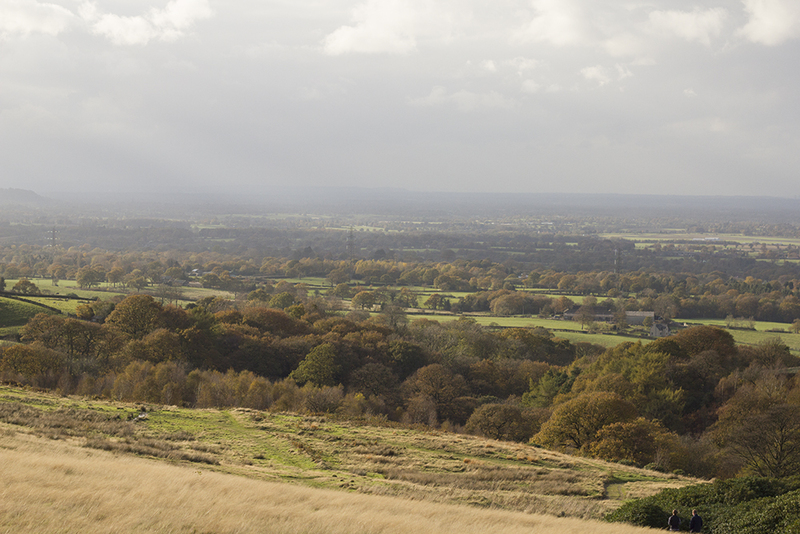 So here is Dobs’ day out, from her point of view, with plenty of beautiful Cheshire countryside thrown in for good measure! Ah Sunday. My favourite day of the week, when everyone is at home and I get the maximum amount of attention. I was having a particularly good one, mooching between the sunny spot in the garden and my sofa in the house. It’s not my sofa, per se, but I’m just not too fond of sharing. Then they arrived. I honestly thought they’d left me forever, it must have been about 120 years since they last visited! Or maybe 120 days… or 120 hours… who cares though, it’s been FOREVER. I tried to play it cool but completely failed. I nearly peed myself with excitement. How embarrassing. And then when I heard the magic word, “walkies”, from Sarah, I knew this Sunday would be even better than ever before. She let me sit on her lap in the car, even though I could tell she was getting annoyed at me fidgeting. I’m excited though, it’s WALKIES time. I swear to god, if she opens that window… oh my… sweet fresh air. I don’t care if I look like a tourist, I’m sticking my head right out of it. WOOOOOO!!! I know when we’ve arrived at the park because the car seems to slow down way too much and I can smell ice cream and other dogs and nature. We park up, then I leap out of the car and I’m ready to explore. But the humans have other plans… the GoPro that they usually use for holidays is somehow going on my back! Great. They never mentioned I’d have to carry their stuff for them. Sarah decides to Snapchat me. My followers are going to think I’m a right idiot. Oh well. I’m just happy to be at my favourite park with some of my favourite people. I spend the rest of the walk avoiding other dogs, glaring at sheep, avoiding drinking from/jumping in the stream, trying to sneak scraps of food from their picnic and just generally looking as cute as can be so that passing people will stroke me. Once we’re home everyone fusses me. If they stop, well, I just don’t let them stop. Someone has kindly left me a cup of tea on the side. It’s a bit of an effort to get to it, but that’s no bother for me. Thanks guys. Wait, what do you mean it’s not for me? Whatever, I’m done. Sleepy time. If you enjoyed the video, don’t forget to subscribe to my channel to keep up to date with all my new videos. I have a weekly vlog planned for next week – so stay tuned for that! Disclaimer: This post was created in collaboration with Petplan, but all thoughts & opinions are my own. Do you have a dog? Tell me a little bit about them – I’m completely puppy broody right now!